A table without cluster index is called Heap table. Now you are thinking why we are talking about this. 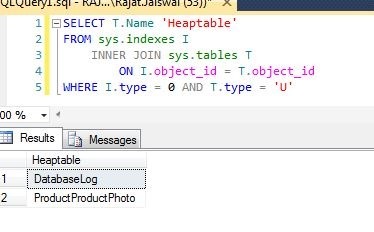 So as SQL developer we should aware and In next post I will explain which is related to maintenance how to Rebuild a heap table. now in next post we will discuss how to rebuild fragmented heap table which is a maintenance activity. I hope this article may help you.